There's no really technical sections and the objective dangers are close to non-existent. Its relatively easy access makes it an attractive climb for someone with limited time, as it can be attempted in roughly 6 weeks round trip. 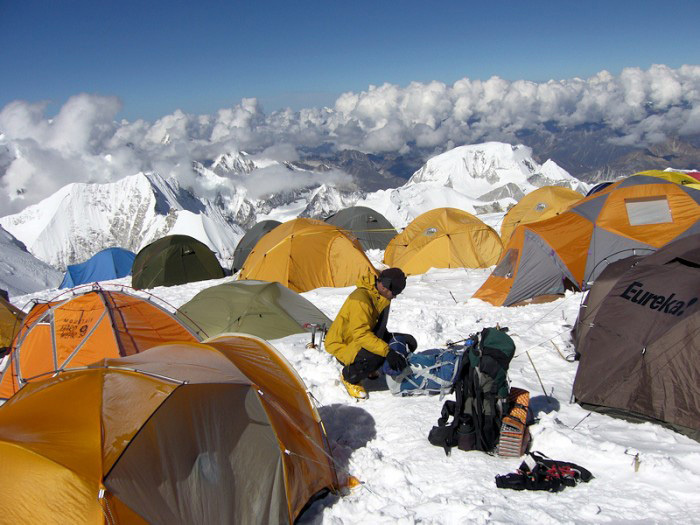 Base Camp is accessible by jeep and it is possible to reach Kathmandu in a very long day from Base Camp. 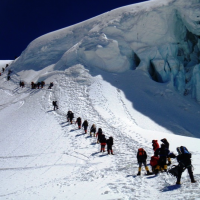 Because of it's ease of access, ABC is often crowded with a large number of expeditions. 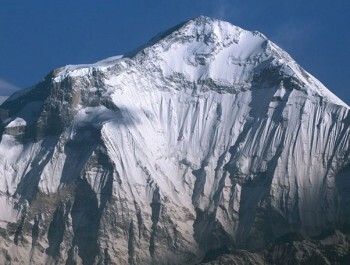 Just west of Cho Oyu is the Nangpa La, the old trade route between the Khumbu Sherpas and Tibet. Day 01: Arrival in Kathmandu Airport & transfer to hotel (1350m). Day 02-03:Rest, preparation, visa collection, assignment & briefing. Day 04: Drive to Timure-overnight lodge; overnight hotel (BB Plan). Day 05: Immigration formality and Drive to Kyarung; overnight hotel (BB Plan). Day 08: Drive from Tingri to Chinese Base Camp (5200m) six hours; Camp. 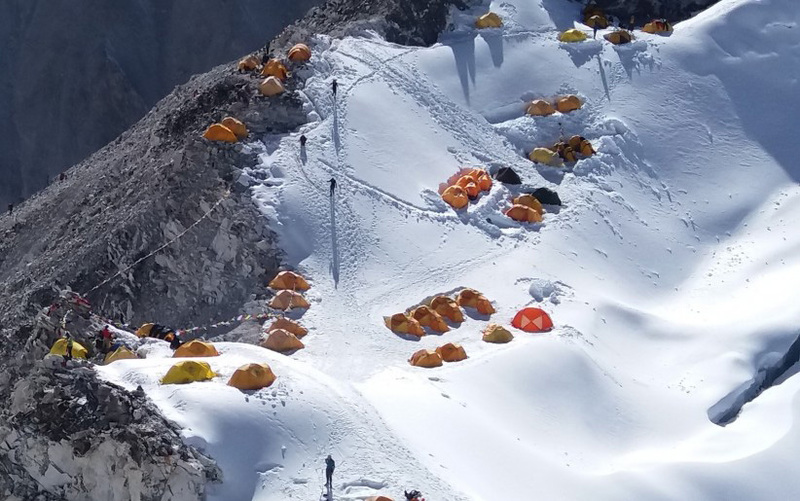 Day 09-10: Rest and acclimatization at Chinese Base Camp; Provision of Yaks and preparation for Advance Base Camp (ABC) trek. 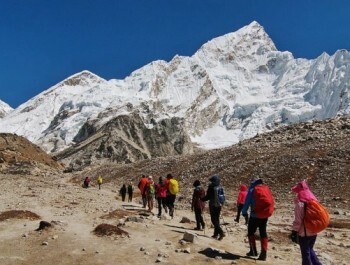 Day 11: Trek from Chinese Base Camp to Middle Camp (5300m) along the 4x4 track, camp. 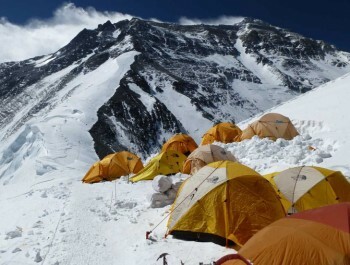 Day 12: Trek from Middle Camp to the ABC (5700m) of Cho-Oyu, camp. 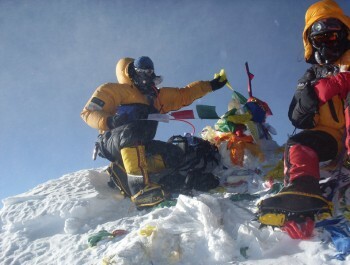 Day 13-36: Climbing Period – Summit Cho-Oyu (8201m). Day 37: Dismantling ABC; drive to Chinese BC; drive to Tingri; Hotel. Day 38: Drive to Kyarung; overnight hotel (BB Plan). Day 39: Drive from Kyarung to Kathmandu; overnight hotel (BB Plan). Day 40: Rest and leisure day and shopping in Kathmandu. Day 41:Final departure to your port of destination. All arrival and departure transfer services to and from International Airport. 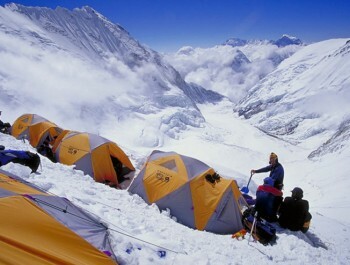 5 nights Hotel accommodations in Kathmandu on BB Plan as per category. Kathmandu-Kyarung-Kathmandu transfer for logistics and staffs. 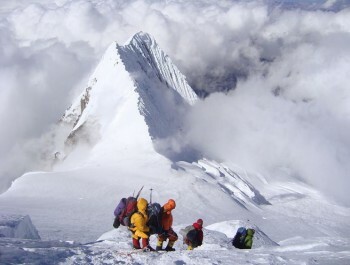 Tibet travel visa and permit for climbing member and involved staffs. 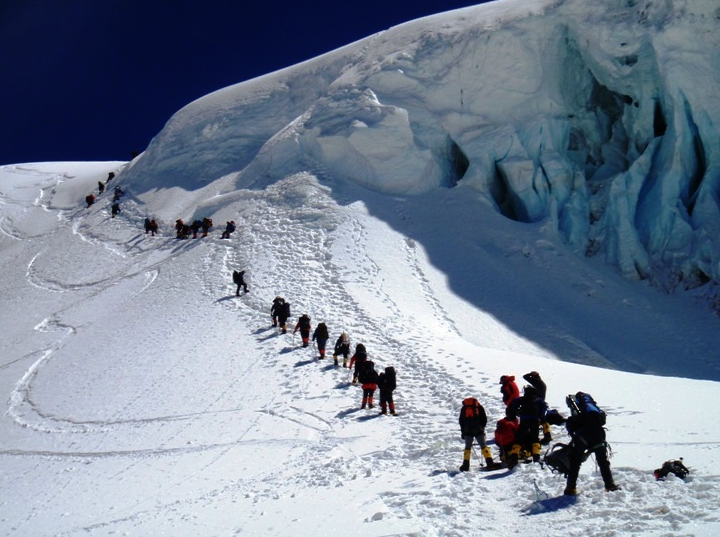 Cho Oyu climbing permit with Chinese Government Royalty (U$7500 per person). 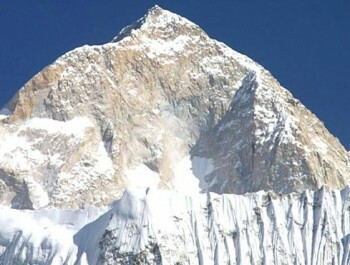 Tibetan official Liaison officer for Cho-Oyu Expedition fully paid. Kyarung-Tingri -Chinese Base Camp and VV all accommodation and transportation (BB Plan). 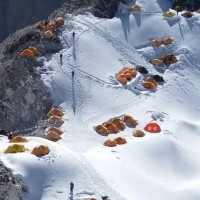 All camping equipment in Chinese Base camp and Advance Base Camp. Food during expedition period for expedition members and staff cooked by our cook. 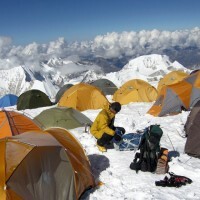 1:1 experienced climbing Sherpa guide and base camp staffs sharing with team. Cargo and duties clearing assistance service in Kyarung border. Gamow Bag will be available for expedition group. Solar panel for light and batteries charger will be available for expedition members. 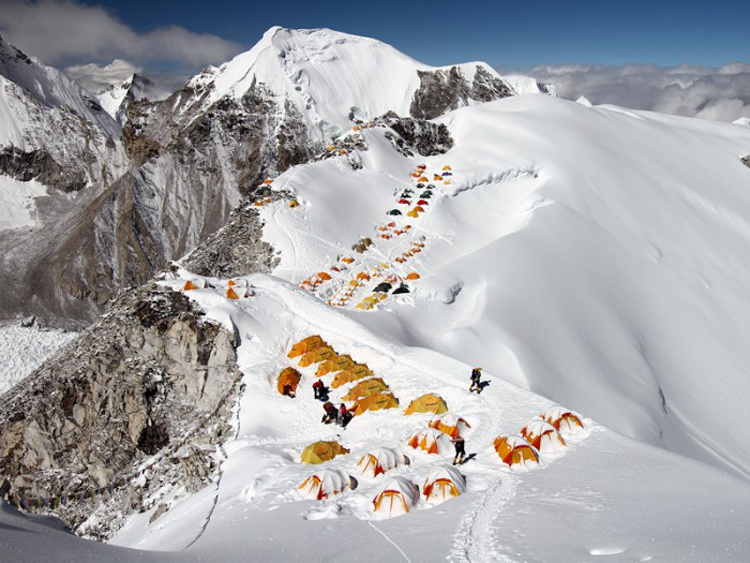 High altitude food for Sherpa and climbing member. ll necessary paper works, office service charge and Government taxes levied in Nepal. Complete pre-departure information, flight ticket reconfirmation and visa extension procedure assistance services (if necessary). Snowy Horizon Special Gifts (T-shirt/Pashmina etc.). Lunch and Dinner during your travel period in Tibet (Except camp site). Items of personal nature, Laundry Expenses, Tips etc. Expenses incurred towards usage of any communication means. 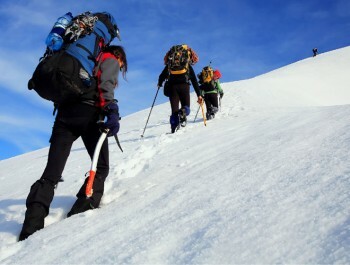 Clothing, packing Items or bags, personal medical kit, personal trekking/climbing gears. Any extra services or products or offers or activities not mentioned in the itinerary. Any extra expenses arising out of various/unforeseen situations like natural calamities, landslides, political disturbances, strikes, change in Government regulations etc. Oxygen bottles, mask and regulators as per demand. Medical-travel insurance and emergency rescue evacuation if required. Airfare of international and domestic flights. Nepal entry or re-entry visa fee (Visa issuance is easy at the arrival). Icefall garbage deposit fees (Sharing with other member) if applicable. 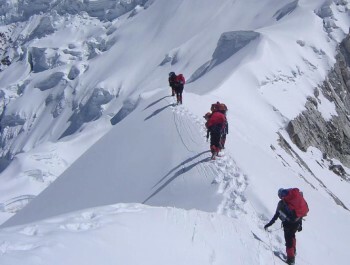 Nepal custom duty fees for import of expedition goods. Emergency/Rescue/Early Jeep cost (US$ 1200 approximately). 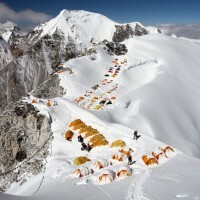 Tips for Base Camp Staffs shall be mandatory minimum US$ 200.00 per member. Any other item not included in “The cost includes” Section.